Northern Utah Youth Symphony and Northern Utah Youth Chamber Orchestra will be presenting this season's first concert at Mountain Crest High School, 255 S 800 E, Hyrum, Utah. This matinee performance will be Saturday, November 19, 2016, at 2:00 pm. Admission is free, sponsored by Classical Strings in Harrisville, and Edge Orthodontics, Dr W Clark Andersen in Brigham City. Northern Utah Youth Chamber Orchestra, a strings-only training orchestra, will open the concert. Under the direction of guest conductor Amber Taylor, they will be performing Bach's Brandenburg Concerto No. 5, Dvorak's Largo, and Thanksgiving Medley. Northern Utah Youth Symphony, a full orchestra under the direction of Conrad Dunn, will follow. They will be performing Alfred Reed's Russian Christmas Music. This concert will also feature two members of the orchestra, winners of our annual Concerto Competition, as concerto soloists. Jaquell Taylor will be performing Joseph Haydn's Cello Concerto in C. Tia Luther will be performing Max Bruch's Violin Concerto No.1. The concert will also include a perennial holiday favorite, Leroy Anderson's Sleigh Ride. Jaquell Taylor is a senior at Fremont High School in Plain City, Utah. She is the daughter of Joel and Amber Taylor. She has studied cello for 11 years with John Findlay, Paul Joines, and is currently studying with Pegsoon Whang. Jaquell is a member of the Northern Utah Youth Symphony in Brigham City, Utah. She is currently serving as Principal Cellist. In 2014, Miss Taylor was selected to perform in a Concerto for two Cellos with the Northern Utah Youth Symphony. Jaquell had the opportunity during the summer of 2016 to play with the Young Artists Chamber Players under the direction of Jack Ashton while touring Europe. Jaquell also enjoys being a member of Hot Apple Pie Fiddlers, as well as a member of a double quartet, Aspen Strings. 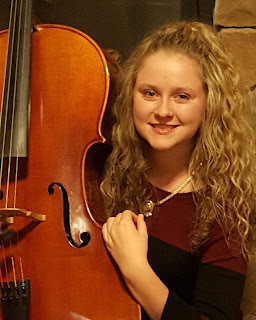 She has received superior ratings at ASTA festivals for the past 10 years, and has received superior ratings at Regional and State Solo and Ensembles for the past 2 years. She loves being involved in music and participates in various school orchestras and choirs, honor orchestras, All-State Orchestras, and teaches private lessons. Jaquell has a passion for playing her cello and making music, whether it is fiddle, chamber, symphony, or performing solo. Tia Luther, a senior at Ridgeline High School, started playing the violin at age 9. At first, she learned by participating in an after school orchestra program and by watching videos on YouTube. Later, she began taking lessons and currently studies as a student of Jesse Massey. Outside of NUYS, Tia plays as the concert mistress of ARCO (Advanced Ridgeline Chamber Orchestra), the first violinist in a student quartet, and in a violin and piano chamber group. Tia has participated in All-State Orchestra and received superior ratings as a soloist and chamber player at State level festivals. This summer, Tia was accepted into the Jacobs School of Music Summer String Academy at Indiana University where she took classes taught by the Verona Quartet, Pacifica Quartet, Mimi Zweig, Grigory Kalinovsky, and others. Tia also enjoys composing and arranging music. Last year, Tia teamed up with one of her friends and composed a piece for a state competition that received third place. Tia teaches beginning violin students as well and loves sharing music in any way she can. 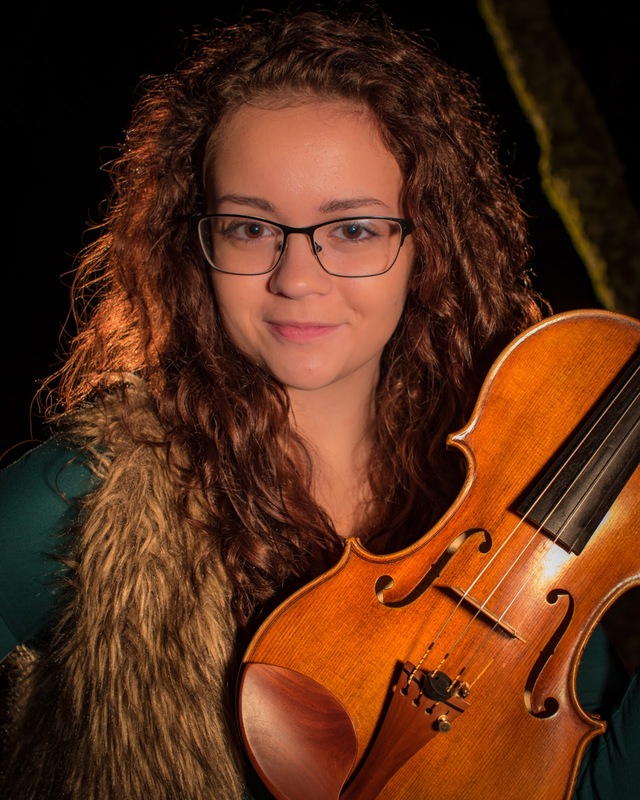 She plans to continue violin through college as a music performance major. Lake Bonneville Symphonic Society is a 501(c)(3) non-profit organization dedicated to classical music in the Northern Utah area. The Lake Bonneville Symphonic Society is sustained by a grant from the George S. and Dolores Doré Eccles Foundation and their annual Gala Fundraiser Dinner & Silent Auction. They are also funded by individual donors, parents, grandparents, and employee gift matching from Autoliv. LBSS is also supported by Box Elder County Tourism.